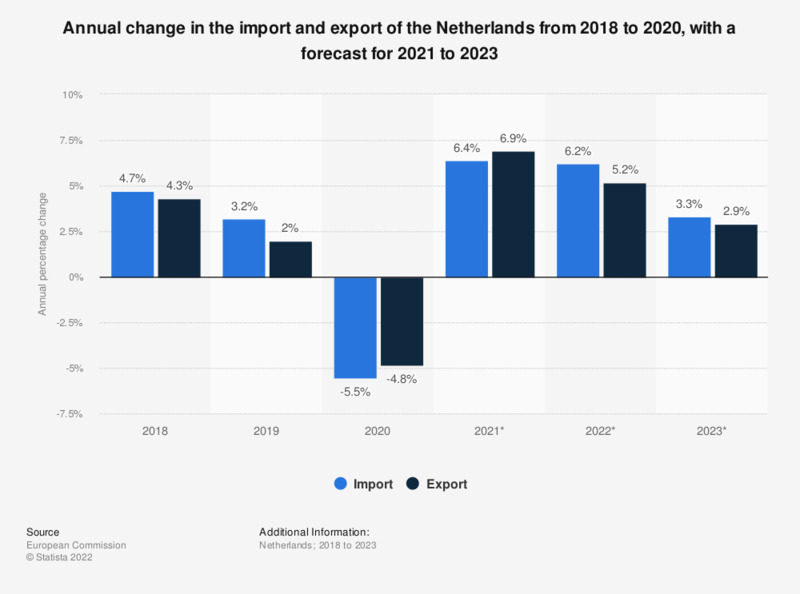 This statistic displays the annual change in the import and export of the Netherlands from 2013 to 2017, with a forecast for 2018 to 2020. In 2019, the import is expected to grow by just over four percent. Figures include both goods and service trade.